Light And color are inspiration for Bev's painterly realistic works of people, animals, and still life. She has studied at Mesa State College in Grand Junction, Colorado and taken workshops with Doug Dawson, Terry Ludwig, Xiang Zhang, and Daniel Greene. Bev is a signature member of the Pastel Society of America, Master signature member with the Pastel Society of Colorado, and Master Circle member of the International Association of Pastel Societies. 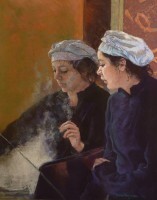 Her works have been published in The International Artist and The International Pastel Artist. She has had two feature articles in The Pastel Journal-October 2004 and December 2008. Her painting 'Round Up' was part of an article titled 'The Cream of the Crop' in the November 2003 issue of The Artist Magazine. 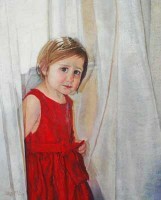 She has had works in the Pastel Journal Top 100. Her works have garnered over 50 awards with numerous Best of Show and People's Choice. 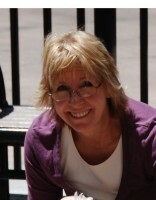 Bev is the author of 'Painting Children, secrets to capturing childhood moments.' She was also one of the artists in Sketchbook Confidential. Both books are through NorthLight Books.